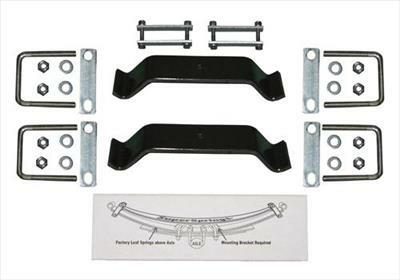 SuperSprings are easily and quickly installed directly above the vehicle’s rear leaf springs. They work in parallel with the vehicle’s existing suspension system and “kick-in” on demand. 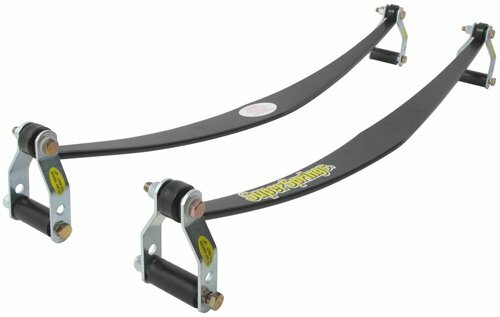 The increased spring-rate produced by installing SuperSprings helps eliminate vehicle rear-end sag and improves towing capabilities. 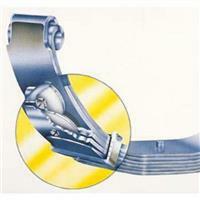 SuperSprings unique anti-sway properties reduce body roll providing enhanced driver safety and control. These features are most noticeable when cornering, encountering strong cross winds or dealing with wind buffeting from other traffic. 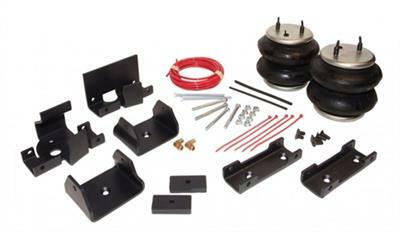 The Firestone air suspension system main component are the air springs. The air springs in the air suspension systems are built to take a beating, but they are moving mechanical parts, and eventually all moving mechanical parts will fail. 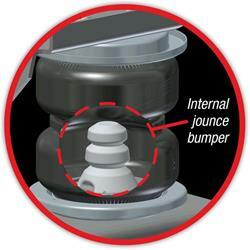 If this happens to you, don't worry, Firestone offers replacement springs for all of their air suspension systems. 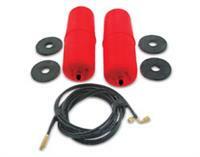 These air springs are as easy to replace as the original springs were to install. 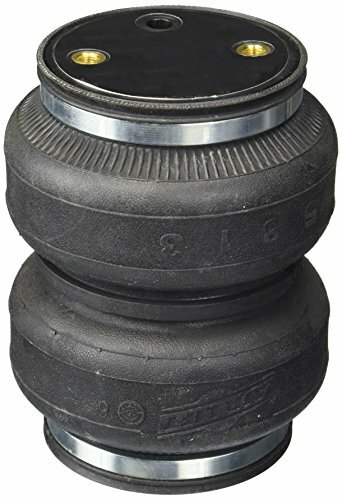 The replacement Firestone air springs can also be utilized in custom air spring applications. 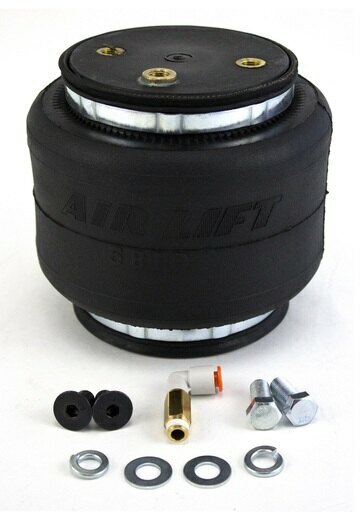 These Replacement Air Sleeves are a direct replacement for your Air Lift Helper Kit or fabricating your own custom system. Eliminate "bottoming out" and improve ride, handling and stability. 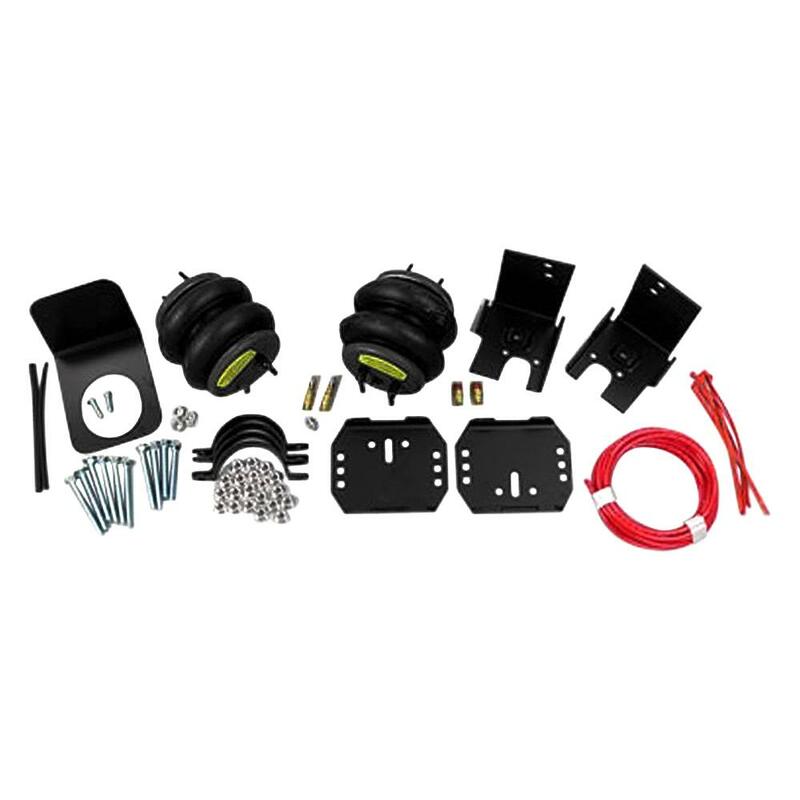 The Air Lift 1000 kits are engineered as an add-on helper spring for coil spring suspensions, front or rear. Custom tune the ride you want, whether you're hauling, towing or riding light! Super Springs SSA15 52"L X 3"W X .946" Super Springs SSA15 52"L X 3"W X .946"
Super Springs SSA5 44"L X 3"W X .360" Super Springs SSA5 44"L X 3"W X .360"
SuperSprings are easily and quickly installed directly above the vehicle�s rear leaf springs. 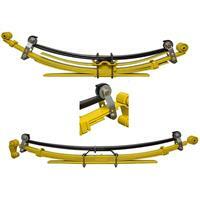 They work in parallel with the vehicle�s existing suspension system and �kick-in� on demand. The increased spring-rate produced by installing SuperSprings helps eliminate vehicle rear-end sag and improves towing capabilities. 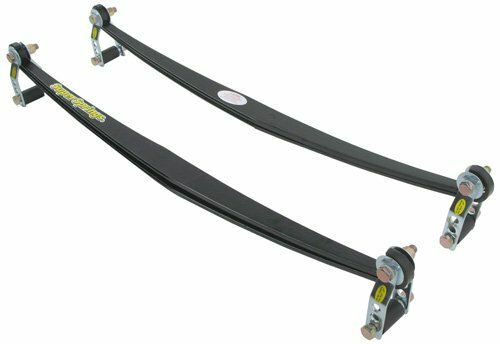 SuperSprings unique anti-sway properties reduce body roll providing enhanced driver safety and control. These features are most noticeable when cornering, encountering strong cross winds or dealing with wind buffeting from other traffic. Don't take chances with cheep no name replacement air sleeves, these high quality replacement air sleeves from Air Lift guarantee perfect fit and durability you can trust for years of use. 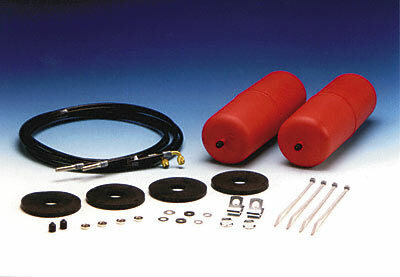 Hellwig's LP-15 helper spring line fits the Mid-size and Small pick-up groups and has a 1500 pound level load Capacity. Factory Ride is unaffected when vehicle is unloaded with the Progressive kit. LP-15 for vehicles asked to do the really tuff jobs.Once installed and adjusted you are free to haul and or tow a multitude of equipment and commodities with greater control and stability.